You don't see "whence" often nowadays, or "whom" for that matter. But since "whence" means from what place or source, "from whence" is one word too many. When I was at school "from whence he came" was a standard phrase!! Ergo: "he was told to go back from whence he came". It wasn't considered tautological. You don't see it today, as you said, so old habits die hard. I still use "whom" all the time. Another thing I've seen disappear is "proven"; people save 'proved' instead - which you could easily write about when making bread!! "It has proven to be a false assumption" is an interesting sentence to parse, but I did that and similar things in a standard English lesson at high school!! I would still use the word 'proven' in my presentations on music. You'd never write a sentence without a verb either. When I started learning German a few years ago I realized there were a great many similarities in grammar with English and I wondered how many Germans actually understood any of this these days and whether they actually used spoken and written 'Hoch Deutsch' which had grammatical conventions. You have to take into account that I'm a Yank and don't speak English properly. Otherwise, I enjoy the rest of your work. But seriously, Americans use English differently at times. Just as one example; we watch "Cops" and on that reality program the police always ask, "where's he live at?" We never use - or mostly never use - prepositions at the end of sentences as this isn't regarded as good English usage. Some people in Australia put "but" at the ends of sentences and this is a no-no!! "I'm doin' me work, but" is what my students used to say when I told them to shut up!! I warned them countless times that "but" is the glue which joins parts of sentences together, but they were having none of it. Just looking at 'that but' put together in my sentence; I put but into inverted commas as you'd usually find those two words side by side only if a comma was perched beside the word 'that'!! Ergo; "I'm glad you said that, but I still think you're wrong". Yes, I'm a grammar tragic!! I started university over a decade after I left school and finished another decade after that (children, piano, a business to run etc.) I remember a lecturer (Musicology) saying to me, "your writing style is extremely lucid and not of the type we see much today"!! I realized he could date my style back to an educational system which hammered grammar mercilessly. Each Christmas I receive cards from school friends from that era and their annual messages reveal a command of grammar which was very familiar to me then and unambiguously strong compared to school children today. Back then you used commas and full stops judiciously, rendering meaning more coherent. I've had MANY school kids who wrote an entire page of writing without full stops or commas and the remedy was relatively simple; read me that page you've written aloud and do not stop to take breath until you find a full stop!!! "Where's he live at?" is nonstandard, lower-class English even in America. But you say, "We never use - or mostly never use - prepositions at the end of sentences as this isn't regarded as good English usage." Sometimes it is - depends on the prepositions and the context. The story goes that Winston Churchill, having been "corrected" for that offense, retorted that this was the kind of pedantic nonsense up with which he would not put. Mozart: Sym. 40 in G Minor, K. 550 (28'35) |Sym. 41 in C Major, K. 551 "Jupiter." (29'54) |Serenade in G Major, K. 525 "Eine kleine Nachtmusik." (18'00)--Wiener Symphoniker (symphonies), Berliner Philharmoniker (Serenade), Ferenc Fricsay, cond. STEREO, rec. 1960 (40 + Serenade), 1961 (Jupiter). CD 29 of a 45 CD DGG set of all Fricsay's orchestral recordings for DGG. These are lively and stylish performances. Shostakovich: Festive Overture in A Major, Op. 96 (1954) (9'50) |Sym. 5 in D Minor, Op. 47 (1937)(46'50)--Charles Mackerras, cond. Royal Philharmonic. No information on recording date or venue. This was published in 2010, the year of Mackerras's death. Scriabin (1872-1915): Piano Sonata 8, Op. 66 (1912-3) (13'16) |2 Preludes, Op. 67 (1912-3) (2'43) |Piano Sonata 9, Op. 68 "Black Mass" (1912-3) (8'36) |2 Poemes, Op. 69 (1912-3) (2'57) |Piano Sonata 10, Op. 70 (1912-3) (12'10) |2 Poemes, Op. 71 (1914) (3'40) |Vers la flamme, Op. 72 (1914) (5'02) |2 Danses, Op 73 (1914) (5'48) |5 Preludes, Op. 74 (1914) (4'56)--Vladimir Ashkenazy (Op. 66, 69-72, 74), Gordon Fergus-Thompson (Op. 67), Pierre Laurent Aimard (Op. 68), Svatoslav Richter (Op. 73)--recorded June 1977-Dec. 2014, various European venues. Buxtehude (1637-1707): Vocal Works 9 (10 sacred concerti, arias, and cantatas) (79'01)--Ton Koopman, Amsterdam Baroque Orch. and Choir--the third from last CD in this set of 29 CDs containing the complete works of Buxtehude. Challenge Records. This reminds me of an episode of SNL many years ago which was hosted by the grammarian/newsman, Edwin C Newman. They did a skit where Newman was doing volunteer work on a suicide prevention hotline. Someone called in and they talked a while, and the man ended with, "I just don't have anything to live for." Newman replied, "C'mon now, you don't want to end your life on a preposition, do you?" I found Newman pretty tiresome in his guardian-of-the-language role. Oddly, it was William Safire of the opposite political persuasion who was more sensible about usage and style. But I did enjoy the sign Newman posted above his office door: "Abandon hopefully, ye who enter here." Beethoven: Piano Concerto 1 in C Major, Op. 15 (36'17) |Piano Concerto 4 in G Major, Op. 58 (36'33)--Russell Sherman, piano, Vaclav Neumann, cond., Czech Philharmonic. Recorded 1984 at Rudolphinum, Prague, Czech Republic. Originally issued on ProArte Records. CD 1 of a 3 CD Vanguard Classics set. Donald Erb's music sounds, at first hearing, wilder and woolier than it really is. As the liner notes say, "While Erb speaks an intense contemporary musical language, his structures are solidly rooted in tradition." He is not a serialist, and though much dissonance and unmusical sounding sounds are introduced, he approached his art with great passion, conviction, and a sense of humor. For example, Suddenly Its Evening, describing a typical day in the life of a mentally unbalanced person, has a first movement titled "Xanax in Xanadu." Although he travelled extensively and worked for long periods in various places, the center of his life focused on northern Ohio, having been born in Youngstown, died in Cleveland Heights, and associated as he was with a number of music schools in the Cleveland area, including the Cleveland Institute of Music and Kent State University. In fact, the first time I ever heard of him was when a piece he had written was performed by the Cleveland Orchestra in a concert I listened to on FM radio. Beethoven: Sym. 7 in A Major, Op. 92 (32'11)--rec. Sofiensaal, Vienna, 9/1974 |Sym. 8 in F Major, Op. 93 (27'45)--rec. Medinah Temple, Chicago, 11/1973--Georg Solti, cond. Chicago Sym. Orch. CD 5 of Solti's first Beethoven symphony cycle with the CSO. DECCA. Scriabin (1872-1915): CD 9 of an 18 CD DECCA set of Scriabin's complete works. CD 9 is a transitional CD. All the works on this CD are without opus numbers. It is the last CD in the set which has solo piano works; after this, all the others are of chamber and orchestral music. The CD has 24 tracks in all, most of them short one movement pieces. A few are notable for length and/or inclusion of musicians other than pianists. These are Tr. 2 Romance in F # Major for voice and piano, WoO 2 (1894) (1'25), Tr. 6 Sonate-fantaisie in G# Minor, WoO 6 (1886) (8'07), Tr. 9 Variations in F Minor on a Theme by Mile Egoroff, WoO 9 (1897) (5'06), Tr. 10 Duett in D Minor, WoO 10 (3'42), Tr. 17 Fantasy in A Minor, WoO 18 (6'27), Tr. 18-20 Sonata in E Flat Minor, WoO19 (1887-9) (18'51), Tr. 22 Romance in A Minor for horn and piano, WoO 21 (1890) (2'13)--Anush Hovhannisyan, soprano (WoO 2, (WoO 10), Anna Gouri, piano, (WoO1, 9), Valentina Lisitsa, piano, (WoO 2-5, 7-10, 12-16, 20-21, 25, +, Roberto Szidon, piano (WoO 6, 10), Vladimir & Vovka Ashkenazy, (WoO 18), Richard Watkins, French horn (WoO 21). Havergal Brian (1876-1972): Tr. 1--Festival Fanfare (1967) (1'44) |Tr. 2-16 Symphony 2 in E Minor (1930-1) (53'28)--Tony Rowe, cond., Moscow Sym. Orch. NAXOS CD, previously issued on Marco Polo. Rec. @ Mosfilm Studio, Moscow, Russia, May 1996. The blurb at the top of the back side of this CD says, "Orthodox in its four movement structure, but, according to the composer, 'very unorthodox inside,' Havergal Brian's Sym. 2 was originally inspired by Goethe's play 'Goetz von Berlichhingen'. In 1972, however, following the death of his beloved daughter, Brian dedicated his forty year old symphony to her memory. Scored for a big orchestra which calls, among other requirements, for 16 horns, 3 sets of tympani, 2 pianos and organ, the symphony includes a furious ostinato-scherzo, and a tragic funeral march entirely conceived in Brian's own terms, yet unafraid to evoke echoes of Siegfried's Funeral March from Die Gotterdammerung." Your allusion to FRICSAY immediately caught my eye. I have long been a fan of this conductor. I am exceedingly happy that DGG released all of his recordings in two boxed sets. A conductor who largely gained an international reputation from his recordings died too young. Surprising how many people don't give him much recognition, but he sure deserves it. Stylish is a good word for his conducting. He recorded for other labels as well, primarily Odeon in the early years, and some good material on Audite. I have been seeking all those recordings, too. Gian Carlo Menotti (1911-2007): Amahl and the Night Visitors, Opera in One Act (1951) (46'20)--Thomas Schippers, cond. NBC Television Theater, rec. 4, 10 JAN 1952. This opera was first performed live in national television in the US on Christmas Eve, 1951. The tale involves the three wise men on their way to Bethlehem to greet the Baby Jesus. They stop at the very modest home of a poor widow, who is beleagured not only by the fact that she is widowed but by the fact that her son, Amahl, is crippled and walks with a crutch. The three kings stay with her for a while to rest. She becomes disturbed and wants some of the presents they have with them for herself, so she tries to steal it, but is quickly caught. The three kings are moved to forgiveness, however, when they hear her tale of woe, and her attitude changes completely. Amahl is miraculously cured when he offters his crutch as a gift for the Baby Jesus. He begs his mother for permission to go with the kings to Bethlehem, which she gives him. The opera ends joyously with the three kings and Amahl departing for Bethlehem. Mozart: Sym. 29 in A Major, K. 201 (22'46)--rec. 1956 |Sym. 35 in D Major, K. 385 "Haffner" (20'49)--rec. 1953 |Sym. 41 in C Major, K. 551 (26'08)--rec. 1954--Ferenc Fricsay, cond., Berlin RSO. MONO. CD 30 of a 45 CD set of all Fricsay's DGG Orchestral recordings. Buxtehude (1637-1707): 10 Sacred Cantatas, Arias, and Concerti (77'43)--Ton Koopman, cond., Amsterdam Baroque Orch. & Choir. Vocal Works 10, CD 1 of 2 of a 29 CD set of the complete works of Buxtehude on Challenge Records. The way I have re-ordered them, this is the penultimate CD in the series. Beethoven: Piano Concerto 2 in B Flat Major, Op 19 (30'46) |Piano Concerto 3 in C Minor, Op. 37 (39'29)--Russell Sherman, piano, Vacxlav Neumann, Czech Philharmonic--rec. June and Sept., 1984 and originally issued on the Pro Arte label. CD 2 of a 3 CD set of the Beethoven Piano Concerti plus the Bagatelles, Op. 119. Boccherini: 3 Quintets for 2 violins, viola, and 2 celli: CD 1 of 2: Tr. 1-3, # 1 in B Flat Major, G 271 (22'29) Tr. 4-7, # 2 in C Major, G. 273 (16'53) |Tr. 8-11, # 3 in A Major, G. 272 (29'29)--La Magnifica Comunita (Enrico Casazza, Isabella Longo, violins, Alessandro Lanaro, viola, Luigi Puxeddu, Vittorio Piombro, celli)--CD 1 of a 2 CD Brilliant set. Rec. 5/2005. Beethoven: Sym. 9 in D Minor, Op. 125 "Choral" (76'32)--Georg Solti, cond. Chicago Sym. Orch. & Chorus, Pilar Lorengar, soprano, Yvonne Minton, mezzo-soprano, Stuart Burrows, tenor, Martti Talvela, bass--rec. May, 1972 Krannert Center, Univ. of Illinois, Campaign-Urbana, IL. DECCA. In terms of interpretation, this is a conventional, MOR style performance of the Ninth, if a bit slower than most. Of course, Solti, as was his wont, did all the repeats, which is not so conventional. But the execution is so much better here than in so many others, it is literally breathtaking. I can tell you that hearing this in live performance before the recording, as I did at a Friday mantinee concert, was one of the most memorable concert-going experiences of my life. I want to especially note that in the live concerts that preceded the recording, Stuart Burrows was not the tenor. Rene Kollo, who had previously recorded the Ring cycle with Solti, was. Replacing him on the recording was, I think, a wise choice. Kollo has a warm voice, and the others are all cooler, detached, objective. Burrows was more in keeping with the stylistic approaches of the other singers than Kollo was. Tr. 12-13, Andante & Scherzo for Strings (1888-9) (5'40)-Hamburg Strings,-rec. live 17 SEP 2012, Altona Culture Church, Hamburg. Tr. 14, Symphonic Poem in D Minor, WoO 24 (1896-7) (15'33)--Igor Golovschin, cond., Moscow Sym. Orch., rec. Oct 1995, Mosfilmoskaya Studios, Moscow. Tr. 18, Reverie, Op. 24 (1898) (4'10)--Vladimir Ashkenazy, cond., Berlin RSO,rec Jesus-Christus-Kirche, Berlin, May, 1990. Havergal Brian (1876-1972): Tr. 1-3, Tone Poem: In Memorian (1910) (18'50) |Tr. 4-5, Festal Dance (1908) (6'16) Tr. 6-8, Sym. 17 (1960-1) (13'36) |Tr. 9-12, Sym. 32 (1968) (20'56)--Adrian Leaper, cond., RTE National Sym. Orch. [Irish Radio & Television NSO], rec. 15-16 June 1992, National Concert Hall, Dublin. Originally released on Marco Polo. The little blurg at the top of the back of this CD case says, in part, [This CD features] "...the inventive, fantasia-like Sym. 17, and...[Brian's]...last ever work, the alternately dark andd affirmative Sym 32, a remarkable achevement for a man of 92. Composed five decades earlier, the extended symphonic poem, In Memoriam, notable for the advanced nature of its scoring, is contrasted with the exuberant Festal Dance, once intended as the finale to an early work...originally entitled 'Fantastic Symphony.'" Brian never gave any clue as to what inspired "In Memoriam," though he did expressly deny a couple rumors about it, that it referred to the Tennyson poem of the same name, and another that it referenced the death of King Edward VII in 1910. Charles Villiers Stanford (1852-1924): CD 1, entitled "The Cambridge Years (1870-92)" of 3 featuring Stanford's Sacred Choral Music performed by the Winchester Cathedral Choir, David Hill, Director of Music, with organists Stephen Farr and Christopher Monks. Tracks 4-6 feature Three Motets, Op 38 (9'04), the only multi-movement work on CD 1. Rec. Winchester Cathedral, 1997. Hyperion label. On Thursday, Dec 21, 2017, I listened to 5 CDs. Four of them allowed me to retire a multi-record set to my "listened-to" shelves. An all-Mozart disc--CD 31 in the 45 CD set of all Ferenc Fricsay's orchestral recordings for DGG |Tr. 1-3, Clarinet Concerto in A Major, K. 622 (28'14)--Heinrich Geuser, clarinet, Berlin RSO-- rec. 20 SEP 1957, Jesus-Christus-Kirche, Berlin |Tr. 4-6, Piano Concerto 20 in D Minor, K. 466 (28'42)--Clara Haskil, piano, Berlin RSO, rec. 11 JAN 1954 RIAS Studio, Berlin |Tr. 7, Concert Rondo for Piano & Orch. in D Major, K382 (9'33) |Tr. 8, Concert Rondo for Piano & Orch. in A Major, K. 386 (7'28)--Tr. 7 & 8 feature Annie Fischer, piano, Bayerisches Staatsorchester [Bavarian State Orch. ], rec. 26-27 SEP 1959 Munich, Herkulessaal. Buxtehude (1637-1707): Vocal Works 10, CD 2--9 sacred concerti, arias, & cantatas (75'46)--Ton Koopman, cond., Amsterdam Baroque Orch. & Choir.--This is the 29th & last CD in the Koopman-supervised box of the complete works of Buxtehude. Challenge Records. Beethoven: Piano Concerto 5 in E Flat Major, Op. 73 "Emperor" (41'22) Vaclav Neumann, cond., Czech Philharmonic |Bagatelles, Op. 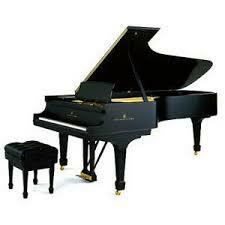 119 (18'08)--Russell Sherman, piano.--rec. 4-5 SEP 1984 @ the Rudolphinum, Prague. CD 3 of 3 CD Vanguard set, reissued from Pro Arte Records. Boccherini (1743-1805): String Quintets for 2 violins, viola, and 2 cellos, Op. 11 (1771), CD 2 of 2 |Tr. 1-4, Quintet 4 in F Minor, G 274 (20'30) |Tr. 5-8, Quintet Vin F Major, G. 275 (23'31) |Tr. 9-13, Quintet VI in D Major, G. 276 "L'Uccelliera" (21'59)--La Magnifica Comunita (Enrico Casazza, Isabella Longo, violins, Alessandro Lanaro, viola, Luigi Puxeddu, Vittorio Piombro, celli)--rec. 5/2005, Rovigo, Italy. Sir Geoge Solti in conversation with British music critic William (Somervell) Mann (1924-89). See https://en.wikipedia.org/wiki/William_Mann_(critic) (46'09). Appended as Bonus CD (the 7th) in a set of the Beethoven Symphonies Solti did with the Chicago Symphony 1972-4 and issued by DECCA. Most of this conversation is availabe in bits and pieces on YouTube. It is divided into 8 tracks. Tr. 1 (5'00)--We find out that the first Beethoven symphony Solti ever conducted was the 7th, in Munich, sometime in 1946. Tr. 2 (5'40)--What other conductors of your youth influenced you? Solti replies that he first became, by accident, almost, he says, part of Toscanini's inner circle at the Salzburg Festival in 1936. A repetiteur was indisposed, and Solti was hired for the job as his replacement in a production of The Magic Flute. He again heard Toscanini at the 1937 Salzburg Festival doing a performance on the Beethoven 9th, which Solti says was awful--Toscaninii couldn't even keep a beat, and it seems he was discombobulated by the fact that he was an outspoken anti-Fascist, and some of the musicians were Fascists. Musicians were talking with each other in rehearsal, and showed little in the way of discipline. Solti found it a disaster. Solti also met Furtwangler during the immediate post-war period whenever Furtwangler came to Munich to conduct the Munich Philharmonic. One of these concerts involved a Beethoven Ninth, which transfixed Solti. He admired Furtwangler very much, and heard from others that Furtwangler had praised him to others. He said Furtwangler was very kind and thoughtful and that he felt encouraged by the older man. Tr 3 (9'21)--Did you have to teach the CSO a new way of doing Beethoven? "Not at all," Solti says. Reiner was an excellent Beethoven conductor. [My own aside: Reiner commercial recorded Symphonies 1, 3, 5, 6, 7, and 9 for RCA, and the CSO has released limited edition CDs containing concert performances of the 4th and 8th symphonies as well. The only Beethoven symphony he never recorded with the CSO in some fashion as the 2nd]. Solti said the only exception was that he had a hard time explaining to the CSO that he wanted the 1st movement of the 6th symphony to go considerably slower than had been Reiner's wont. Then, they slipped into a discussion of the first two symphonies. Solti explains that he does not see these symphonies, esp. not the first, as "Haydnish," as many do. He considers them fully mature Beethoven symphonies. I have pointed out many times that this is evident from listening to his performances, but it is good to hear it explicitly confirmed in his own voice. Tr. 4 (5'00)--Now the Eroica... Solti extensively discusses the performance issues involved in the Eroica, especially with regard to the first three movements. Tr. 5 (5'09)--A more extensive discussion of the 6th and the difficulty Solti had with getting the CSO to depart from the Reiner tradition in its performance. Tr. 6 (3'54)--The 7th. Solti points out that he did all the repeats in all the symphonies, but says that while he thinks that is appropriate for most of the symphonies, it perhaps is not that good an idea for the scherzo of the 7th symphony. I did the repeat because I was doing all the repeats in the other symphonies and I did it for consistency's sake, he says, but he gives his blessing to those who want to dispense with it in the scherzo of the 7th. Tr. 7 (4'56)--the 8th. Solti expresses the view that the 8th is a little symphony,more of a chamber effort than any of the others, which I find rather surprising in view of what I feel is a rather grand sound in this work from Solti's hand. Tr. 8 (7'09)--the 9th. The first movement, Solti says, is the most problematic in the 9th. It has so many changes of mood and pace, it takes a deft hand to hold it all together and make a coherent whole of it. OK, I hear you ask, where do we go from here? I have 8 stacks of CDs on top of a rack holding my equipment. The box below the Buxtehude box, which I will get to in a few days, is a Christmas present I opened early--the Fischer set of the Haydn Symphonies. Below the Russell Sherman set of the Beethoven piano concerti is another set of the same works by an original instruments group called Cristofori led by pianist/conductor Arthur Schoonderwoerd on the Alpha label. Below the Boccherini Quintets are 8 different single CDs, the first of chamber music by Howard Boatwright, before we get to a Brilliamt box of the complete Schumann chamber music. And, finally, under the Solti box of the Beethoven symphonies is the Belohlavek, Czech Philharmonic DECCA set of the complete Dvorak symphonies + the three Dvorak concerti. Many happy adventures ahead! I listened to 8 CDs today! Scriabin (1872-1915): Symphony 1 in E Major, Op. 26 (1899-1900) (46'49)--Vladimir Ashkenazy, cond., Deutsches-Symphonie-Orchester, Berlin, Rundfunkchor Berlin, Brigitte Balleys, mezzo-soprano, Sergei Larin, tenor--rec. JUN 1994, Schauspielhaus, Berlin. CD 11 of an 18 CD DECCA set of Scriabin's complete works. This is, obviously, a choral symphony, but only the 6th and final movement has a vocal and choral text, and even then, the soloists carry the vocal part most of the way with the chorus only coming in very near the end. Per Wikipedia, "The finale is a paean to the sovereignty of Art, a theme common in Scriabin's works. The words were written by Scriabin himself. The Mezzo-soprano begins the movement with "O highest symbol of divinity, supreme art and harmony, we bring praise as tribute before you", and the piece concludes with Mezzo-soprano, Tenor and—finally—Chorus singing "Ruling omnipotently over the earth, you lift man up to do glorious deeds. Come all peoples everywhere to Art. Let us sing its praises." It really is quite emotionally stirring. Havergal Brian (1876-1972): Fantastic Variations on an Old Rhyme (1907) (11'58) |Symphony 20 in C# Minor (1962) (26'29) |Symphony 25 in A Minor (1966) (24'18)--Andrew Penny, cond., National Symphony Orch of Ukraine. Rec. 28-30 OCT 1994 @ the Concert Hall of Ukrainian Radio. NAXOS, previously released on the Marco Polo label. Charles Villiers Stanford (1852-1924): Sacred Choral Music, CD 2 of 3 "The Edwardian Years (1902-10) (66'46)--Winchester Cathedral Choir, David Hill, Dir. of Music with three organists, the director plus Stephen Farr & Christopher Monk. Rec. in Winchester Cathedral, 1997. hyperion label. Mozart: PC 19 in F Major, K. 459 (28'00)--Berliner Philharmoniker P 1956 |PC 27 in B Flat Major, K 591 (29'30) P 1957--Bayerisches Staatsorchester [Bavarian State Orchestra]--Clara Haskil, piano, Ferenc Fricsay, cond., CD 32 of the 45 CD set of Fricsay's complete orchestral recordings on DGG. Haydn: Tr. 1-3 Sym. 1 in D Major (13'19) |Tr. 4-6 Sym. 2 in C Major (9'27) |Tr. 7-10 Sym. 3 in G Major (17'24) |Tr. 11-13 Sym. 4 in D Major (17'29) |Tr. 14-17 Sym 5 in A Major (19'19)--Adam Fischer, cond. Austro-Hungarian Haydn Orchestra--rec. JUN 1990 Haydnsaal, Esterhazy Palace, Eisenstadt, Austria. CD 1 of 33 Brilliant label, licensed from Nimbus Records. Beethoven: PC 1 in C Major, Op. 15 (33'54) |PC 2 in B Flat Major, Op. 19 (24'29)--Arthur Schoonderwoerd, piano and direction, Ensemble Cristofori.--the piano is a 5 octave instrument built in 1996 by Paul Poletti & Gerard Truinman after an 1800 instrument built by Anton Walter. Rec. May, 2008. Howard Boatwright (1918- 99): Tr. 1-4 Sonata for Clarinet & Piano (1980-3) (16'14)--Michael Webster, clarinet, Barry Snyder, piano |Tr. 5-16 Twelve Pieces for Solo Violin (1977) (21'40)--Howard Boatwright, violin |Tr. 17-19 String Quartet 2 (1975) (14'18)--Manhattan String Quartet (Eric & Roy Lewis, violins, John Dexter, viola, Judith Glyde, cello)--CRI (Composers Recordings, Inc.) label. Rather than laboriously summarize the voluminous biographical information given in the accompanyig booklet, written by Boatwright himself in the first person, I thought I'd encourage you to check out his bio @ https://en.wikipedia.org/wiki/Howard_Boatwright Suffice it to say he was an American violinist, orchestral musician, conductor, composer, and university academic. His three most important academic positions were at the Univ of Texas, Yale University, and University of Syracuse. He went to Yale originally to study with Hindemith, but then, with Hindemith's encouragement, he applied for and got an open faculty position. H was what people used to call "a man of parts." This CD was issued while he was still alive, so his death date is not mentioned in the accompanying materials. I found that on Wikipedia. Dvorak (1841-1904): Sym. 1 in C Minor, Op. 3, B9 "The Bells of Zlonice" (44'51)--rec. Rudolfinum, Prague, Nov, 2012 |Cello Concerto in B Minor, Op. 104, B191 (38'44)--rec. 28-29 JUN 2013--Jiri Belohlavek, cond., Czech Phil.. Alisa Weilerstein, cello (in Cello Conc). CD 1 of a 6 CD DECCA set of all the Dvorak symphonies and concerti. The notes in the booklet say everything in the set was recorded @ Rudolfinum, Prague, except the Cello Concerto (Teldex). The Teldex Studio is in Berlin, but there is no indication here that it was recorded outside the Czech Republic. As the nuns used to tell me, "Its a mystery." This set has some of the longest CDs on record. This disc is 83'38, and its only second in length to CD 4 (83'52), which has the 4th and 5th symphonies. Only CD 3 is less than 80 minutes. CD 1 consists of strong, idiomatic performances. Only Kubelik in the symphonies compares favorably, and he didn't record the concerti. Last edited by RebLem on Sat Dec 23, 2017 2:04 pm, edited 1 time in total. On Saturday, December 23, 2017, I listened to 10 CDs. Scriabin (1872-1915): Sym. 2 in C Minor, Op. 29 (1901) (48'01)--Eliahu Inbal, cond., Frankfurt RSO--Rec. 2/1979, The Netherlands. CD 12 of an !8 CD DECCA set of Scriabin's complete works. Havergal Brian (1876-1972): Tr 1-2, *Sym. 22 "Symphonia brevis" (1964-5) ('22) |Tr. 3-4, *Sym. 23 (1965) (13'44) |Tr. 5, Sym. 24 in D Major (1965) (16'29) |Tr. 6-11, English Suite 1, Op. 12 (1905-6) (25'51)--Alexander Walker, cond., New Russia State Sym. Orch.--rec 26-31 AUG 2012 in Studio 5, Russian State TV & Radio Co. KULTURA, Moscow. *World premiere recordings. NAXOS. From the blurb on the back of the CD--During the remarkable and prolific period between his 72nd and 92nd birthdays, Brian wrote no fewer than 27 symphonies. Some seem to fall into groups, such as the Nos. 22-24, all written within a 9 month period in 1964-5. They all share a concern for march rhythms, changeable moods and developing variation. No. 22 is Brian's shortest symphony and exemplifies his art in its most compressed, nocturnal form, whereas No. 23 is a more extrovertly scored and expansive scale. No. 24 provides the triumphant rejoicing that ends the trilogy. Influenced by Tchaikovsky, the 1906 English Suite 1 hints at Brian's sonic experiments to come. Charles Villiers Stanford (1852-1924): "The Georgian Years, 1911-24" (62'25), CD 3 of a 3 CD set surveying a representative sample of Stanford's Sacred Choral Music, performed by the Winchester Cathedral Choir, led by David Hill, Dir. of Music. hyperion. Rec. Winchester Cathdral, 1997. Tr. 1, Magnificat in C, Op. 113 (5'38) |Tr. 2, Nunc dimittis in C, Op. 113 (3'05) |Tr. 3, Ye choirs of New Jerusalem, Op. 123 (4'56) |Tr. 4, Festal Communion Service in B Flat, Op. 128: Gloria in excelsis (5'27)--Kenan Burrows, treble |Tr. 5, St. Patrick's Breastplate (10'00) |Tr. 6, Glorious & powerful God, Op. 135/3 (3'51) |Tr. 7, Eternal Father, Op 135/2 (6'12) |Tr. 8, For lo, I rise up, Op. 145 (7'59)--Kenan Burrows, treble, William Kendall, tenor |Tr. 9, Magnificat for 8 part chorus in B Flat, Op. 164 (10'15) |Tr. 10, Lighten our darkness (world premiere recording) (3'25) |Tr 11, How beauteous are their feet (3'32). It seems to me this whole box is very poorly organized. For example, Op. 115, a 5 movement work, is presented as if it were five separate works, with the first three movements on Disc 2 and the last two on Disc 3, even though the whole of the 5 movements is only 25'05. He also wrote Three English Motets, Op. 135. No. 1 is not presented here at all, and the other two are presented in reverse order on CD 3. It just makes no sense. CD 33 in the 45 CD set of Ferenc Fricsay's complete orchestral recordings for DGG. This CD has two works. Tr. 1-9, Rossini (1792-1868): La Boutique Fantasque Concert Suite (31'01), P. 1955 |Tr. 10-13, Rimsky-Korsakov: Scheherazade, Op. 35 (47'08)--Rudolf Schulz, violin, P 1957--Berlin RSO. MONO. The Schereazade is an especially vigorous and muscular performance. Haydn: CD 2 (70'02) in the 33 CD Brilliant set of the complete Haydn symphonies--Adam Fischer, cond., Austro-Hungarian Haydn Orch., rec. 4/1989 Haydnsaal, Esterhazy Palace, Eisenstadt, Austria, licensed from Nimbus Records. Tr. 1-4, Sym. 6 in D Major "Le Matin (Morning)" (22'36) |Tr. 5-8, Sym. 7 in C Major "Le Midi (Midday)" (25'19) |Sym. 8 in G Major, "Le Soir (Evening)" (21'48). Beethoven: Tr. 1-3, PC 3 in C minor, Op. 37 (1800) (33'10) |Tr. 4-6, PC 6 in D Major, Op. 61a (piano vers. of the violin concerto) (35'37) (1806)--Arthur Schoonderwoerd, piano and direction, Ensemble Cristofori. These concerti are both performed on 5 octave pianos, the PC 3 with the same piano used for the first two concerti--a 1997 fascimile of an instrument built by Anton Walter in 1800. The Op. 61a is performed on an original piano by Johann Fritz from 1807-10. Recorded May, 2007 @ Dreieinigkeitskirche [Trinity Church], Regensburg, Germany. The Ensemble Cristofori is a period instrument ensemble consisting of violins, violas, hautbois (oboes), clarinets, bassoons, English horns, and trumpets in pairs, and 1 cello, 1 double bass, and one set of tympani. Their leader (first violinist) is Luigi de Filippi. Dvorak: Tr. 1-4, Sym. 2 in B Flat Major, Op. 4, B12 (51'45) |Tr. 5-7, Violin Concerto in A Minor, Op. 53, B96 (29'32)--Frank Peter Zimmermann, violin--Jiri Belohlavek, cond., Czech Phil.--rec. Rudolfinum, Prague, 10-14 DEC 2012 (Sym), 2-6 DEC 2013 (VC)--CD 2 of 6 CD DECCA set containing all 9 symphones and all 3 concerti by Dvorak. Thomas Trachsel (b. 16 MAR 1972 Olten, Switzerland): Sym 3 "Apocalyptic" (2014) (65'40)--Martin H Seggelke, cond. Illinois State University Wind Symphony + Select Singers from ISU Belle Voix, Leslie Manfredo, Dir. Klavier CD. Rec. 19-22 NOV 2015 in the Center for the Performing Arts Concert Hall, Normal, IL. The symphony is in 5 movements. The first two are purely instrumental, the others involve both voices and instruments. The subject matter is the destruction of the natural environment, and it approaches the problem as a series of accusations made by young people against their parents and their parents' generation. Appended to the symphony is a 6th track lasting 2'53 consisting of the recitation of a poem by Arthur Honegger on the aforementioned theme. It is recited and printed in German; an English translation is provided in the booklet, as are both German and an English translation of the sung text in the symphony. Chopin (1810-49): The Complete Piano Sonatas--Hanna Jaszyk, piano. Talent CD P 1960, no information on recording dates or venues. These are beautiful performances, especially the last three movements of the second sonata. On Christmas Eve, 2017, I listened to 5 CDs. Scriabin (1872-1915): Sym 3 in C Minor, Op. 43 "La Divin Poeme" (1902-4) (46'52)--Vladimir Ashkenazy, cond., Berlin RSO--rec. 5/1990 Jesus-Christus-Kirche, Berlin. CD 13 of an 18 CD DECCA set of Scriabin's complete works. This is a very energetic, joyous, extroverted performance of this work, which is solely instrumental. The title makes it look like it might have a vocal text, but it doesn't. Vainberg (aka Weinberg): Sym. 8, Op. 83 "Polish Flowers" (1964) (58'32)--Antoni Wit, cond., Warsaw Philharmonic Orch. & Choir, Rafael Bartminski, tenor (in Mvts 2, 3, 5, 7, 8, and 10), Magdalena Dobrowolska, soprano, and Ewa Marciniec, alto in Mvt. 4)--rec. 13-16 JUN 2011 @ Warsaw Philharmonic Hall, Warsaw, Poland. NAXOS CD. World Premiere Recording. Some controversy exists as to how to spell and pronounce this composer's name. He was born in Poland, but lived most of his life in the Soviet Union and wa a prominent Soviet composer. The overwhelming majority of the recordings of his works spell it "Mieczysław Weinberg." but I am a patriotic American, so I chose to give prominence to the "Moisei Vainberg" spelling, as that is the official Library of Congress policy on the proper spelling of his name. This is called a symphony, but it really is a song cycle. The whole cycle is entitled "Polish Flowers," and it wa written by Julian Tuwin (1894-1953). The poem titles translate as 1) Gust of Spring, 2) Cildren of Baluty, 3) In Front of the Old Hut, 4) There was an Orchard, 5) Elderberry, 6) Lesson, 7) Warsaw Dogs, Mother, 9) Justice, and 10), The Vistula Flows. The blurb at the top of the back of this CD: "A product of [Vainberg's] remarkable burst of activity in the 1960's, the 8th Symphony uses texts drawn from Julian Tuwin's epic poem 'Polish Flowers' which reflect on Poland's troubled past and ominous future [as it seemed from the Soviet Union of 1964]. Social inequities, poverty, cruelty in times of war and a final luminous vision of hopeare eloquently expressed in one of [Vainberg's] most personal and powerful artistic statements." I have previously reported on recordings of Vainberg's 17 string quartets. Like the Shostakovich quartets, many of them seem commentaries on the political scene in the Soviet Union, but while Shostakovich's seem to emphasize the effect of repression on the whole of society and on the nature of interpersonal relationships in such an atmosphere, Vainberg's tend to concentrate on their effect of the individual psyche and his own feelings about his place in society and the compromises he has to make to survive. That makes this symphony, which is more "group-conscious" than most of his other works, all the more remarkable. It really stands out for its extroverted approach, which seems so much at odds with Vainberg's usual demeanor. CD 34 in the 45 CD set of Ferenc Fricsay's complete orchestral recordings for DGG. Schubert: Sym. 8 in B Minor, D. 759 "Unfinished" (23'23) P 1958 |Schumann: Sym. 1 in B Flat Major, Op. 38 "Spring" (32'04) P 1955 |Carl Maria von Weber (1786-1826): Clarinet Concerto 1 in F Minor, Op. 73, Heinrich Geuser, clarinet. P 1958. All recorded with the Berlin RSO in MONO. Haydn: Tr. 1-3, Sym 9 in C Major (12'12) |Tr. 4-6, Sym. 10 in D Major (16'23) |Tr. 7-10, Sym. 11 in E Flat Major (22'34) |Tr. 11-13, Sym. 12 in E Major (18'38)--Adam Fischer, cond., Austro-Humgarian Haydn Orch.--rec. June 1990, Haydnsaal, Esterhazy Palace, Eisenstadt, Austria. CD 3 of the 33 CD Brilliant set of the complete Haydn Symphonies, licensed from Nimbus Records. Frank Martin (1890-1974): Choral Music. The Sixteen, cond. by Harry Christophers, rec. St. Michael's Church, Highgate, 20-22 Sep 1995. The Sixteen is a musical ensemble consisiting of 6 sopranos, 8 altos, 4 tenors, 6 basses, a cellist, a double bassist, 2 horns, a trumpet, 3 trombones, a pianist and an organist. Tr. 1, Cantate pour le 1er Aout (Cantata for the first of April) (6'25) |Tr. 2-4, Chansons (1944) (6'26) |Tr. 5-9, Songs of Ariel (11'18) |Tr. 10-13, Chansons (1931) (6'58) |Tr. 14, Ode a la Musique (8'39)-Simon Birchall, baritone solo |Tr. 15-20, Mass for Double Choir (26'02)--Collins Classics label. Frank Martin's name is not pronounced as it would be in English. He was born in Geneva, Switzerland, the center of French-speaking Switzerland to a Hugenot (French Protestant) family--in fact, his father was a Calvinist pastor. So his name is pronounced as if it were spelled "Fronk marTAN." I've been a fan of Martin's music since hearing his harpsichord concerto when I was 15. Don't know any of these choral works but will see if I can hear them. On December 26, 2016, I listened to 7 CDs. Beethoven: Tr. 1-3, Piano Concerto No. 4 in G major, Op. 58 (1805–06) (30'55) |Tr. 4-6. Piano Concerto No. 5 in E-flat major, Op. 73 ("Emperor") (1809–10) (38'40)--Arthur Schoonderwoerd, pianist & cond., Ensemble Cristofori.--The piano is a period instrument by Johann Fritz of Vienna 1807-10. Rec.9/2004 at Musiekcentrum Vredenburg d"Utrecht, Pays-Bas. This is one of my two favorite recordings of these two concerti--the other is te Curzon/Kubelik collaboration. The 4th concerto is played with verve and energy to spare, and the Emperor has many rare felicities. The transition from the second to the third movement of the Emperor, in particular, is handled with rare grace and finesse. Wilhelm Furtwangler (1886-1954): Violin Sonata 1 in D Minor (1935) (55'34)--Matthias Wollong, violin, Brigitta Wallenweber, piano. CD 1 of a set of 2 CDs from CPO. Rec. Funkhaus Berlin, Studio 10, October 2004. Most of the conductors of Furtwangler's generation who doubled as composers sound like Richard Strauss clones. Furtwangler seems to harken back to an earlier age; while we can hear hints of Wagnerian moderism here, it seems much more influenced by Schumann and Brahms. Dvorak: Sym 3 in E Flat Major, Op. 10, B 34 (35'03) |Piano Concerto in G Minor, Op. 33, B.63 (39'52)--Garrick Ohlsson, piano--Jiri Belohlavek, cond. Czech Phil. Recorded Rudolfinum, Prague, 1-21 DEC 2012 (Sym. 3), 10-11 JUL 2013 (PC). CD 3 of a 6 CD DECCA set of all the Dvorak Symphonies and Concerti. These are both exceptionally fine performances. The usual rap on Dvorak's first four symphonies is that they were heavily influenced by Wagner, and that the later ones were influenced by Brahms. But Belohlavek seems to find little that is Wagnerian in these early works. Scriabin (1872-1915): Tr. 1, La Poeme de l'extase (The Poem of Ecstasy), Op. 54 (1905-8) (20'26)--rec. Festspielhaus, Baden-Baden, 24-27 July 1999 |Tr. 2, Promethee: La Poeme du feu (Prometheus: The Poem of Fire, Op. 60 (1908-10) (22'43)--rec. Mikaeli Hall, Mikkeli, Finland, July 1997--Valery Gergiev, Kirov Orchestra, Mariinsky Theater (both), Kirov Chorus, Alexander Toradze, piano (Op 60)--CD 14 of an 18 CD DECCA set of Scriabin's complete works. This is not Gergiev's only recording with Alexander Toradze. They have also recorded a set of the Prokofiev piano concerti together--at about the same time/place as this recording. In fact, the same photo of them together appears on the concerto box and in the booklet that comes with this set. |Tr. 8, Nocturne (1936) (7'88) |Tr. 9, Pastorale d'Ete (1920) (9'14)--Jeune Orchstre Symphonique du Douai (Youth Symphony Orch. of Douai), Denri Vachey, cond., rec. 1991.--Phaia CD. Previously issued on other labels. I wish I could find a text of the poem that comprises Tracks 1-7. It originated as a poem by Paul Claudel, who had composed the text to Honegger's Jeanne d'Arc au bûcher, and Honegger was so taken with Claudel's poem that he decided, as Claudel had hoped he would, to set it to music. In fact, Claudel had visited Basle for the premiere of their joint effort, and took the opportunity to visit a local museum, where he was particularly taken by Holbein's painting Danse Macabre, which inspired the present poem. Honegger relates the way Claudel introduced the idea to him, setting a portfolio of the poem before him, and saying, "It begins with a terrible clap of thunder--not just a little theatrical clap of thunder, a musical thunder, which rolls, like the ones we get during those great storms in the spring. Then, he read me the text. Broad adaptations from the Bible, Ezekiel's vision, bits of Job, slightly distorted folk songs...cries, sobs, Latin phrases...all that neat and tidy, composed and as if wrapped in music already..."
"The work forms a sort of huge ascension--the first four parts provide the human basis, God replies in Part 5, and that is followed by Faith in the Cross and the Lord's promise to the children of Israel. It is thus in 7 parts--the sacred number, seven--arranged around the central figure of God. In this struggle between matter and mind, between death and life, it is He who, in all of His immanence, prevails." CD 35 of a 45 CD set of Ferenc Fricsay's complete orchestral recordings for DGG: Tr. 5, Johann Strauss I (1804-49): Radetzky March, Op. 228 (2'18) The rest of the CD, Tr. 1-4 and 6-8, consists of music by Johann Strauss II (1825-99): Tr. 1, Die Fledermaus: Overture (9'10) |Tr. 2, Annen-Polka, Op. 117 (4'22) |Tr. 3, Kaiser-Walzer, Op., 437 (11'33) |Tr. 4, Tritsch-Tratsch Polka, Op. 214 (2'25) |Tr. 6, On the beautiful blue Danube Waltz, Op. 314 (9'40), Tr. 7, Polka schnell, Op. 332 (2'17) |Tr. 8, Tales from the Vienna Woods Waltz, Op. 125 (13'14)--Berlin RSO, STEREO, P. 1961. Haydn: |Tr. 1-4, Sym. 13 in D Major (18'06) |Tr. 5-8, Sym. 14 in A Major (23'53) |Tr. 9-12, Sym. 15 in D Major (19'43) |Tr. 13-15, Sym. 16 in B Flat Major (12'10)--CD 4 of the 33 CD Brillian set of the Haydn Symphonies. Adam Fischer, cond., Austro-Hungarian Haydn Orchestra. Rec. 4, 5/1991 Haydnsaal, Esterhazy Palace, Eisenstadt, Austria. Licensed from Numbus Records. On Thursday, December 28 and Friday, December 29, 2017, I listened to 8 CDs. Puccini: Tosca, an opera in 3 acts. (1899) (114'36) Mstislav Rostropovich, cond. Orchestre National de France, Les Choeurs de Radio France, La Maitrise de Radio France. Galina Vishnevskaya, soprano as Tosca, Franco Bonisolli, tenor, as Mario Cavaradossi, Matteo Manuguera, baritone, as Scarpia. 2 CD DGG set rec. 1/1976 Paris, Radio France. I've always liked Galina Vishnevskaya more than her husbband, Mstislav Rostropovich. One reason is a little irrelevancy--she, like me, was born on an October 25. She in 1926, I in 1942. I must say that the problems I have with Rostropovich's performing style are, happily, not in evidence in this set. This is a fine performance with plenty of drama and really exceptional performances by all involved. Highly recommended. Vladimir Ashkenazy, cond. Deutsches Symphonie-Orchester, Berlin, Ernst Senff Chor, St. Petersburg Chamber Choir, Alexei Lubimov, piano, Thomas Trotter, organ, Anna Kristiina Kaappola, soprano. Rec. Jesus-Christus-Kirche, Berlin 24-27 SEP 1966 (CD 15, Tr. 1-4 & CD 17), 2, 3, 5 MAY 1997 (CD 15, Tr. 15-22), 19-21 AUG 1997 (CD 16). "Around 1903 Scriabin first conceived the idea of Mysterium, a seven day and seven night spritual/artistic experience incorporating music, poetry, visual effects, dancing, and chanting. Preparation for the Final Mystery was meant to usher his audience into the cosmic awareness necessary for Mysterium. Scriabin worked on Preparation mainly during 1912-13. He died in 1915, leaving 53 pages of sketches. Based on his intimacy with Scriabin's style, and using Scriabin's one thousand-line text as a guide, composer Alexander Nemtin (1936-1999) embarked on a realization of the work. The result is a massive three-part composition (1.Universe 2.Mankind 3.Transfiguration) for orchestra, wordless chorus and soloists, organ, piano obbligato, and even a "light keyboard". The project occupied Nemtin for more than 26 years, ironically becoming his life's work. "It's questionable whether Scriabin would have actually completed such an expansive work, given that the late piano sonatas and orchestral works demonstrate an increasing concentration of thematic material into shorter forms. Consequently, much of "Preparation" sounds like filler. In many passages harmonic sequences and motifs are repeated seemingly endlessly, then interrupted by impressive orchestral flourishes, but not always soon enough to prevent ear fatigue. On the other hand, Ashkenazy and his assembled forces perform this music as if they believe in every bar. For those enthralled by Scriabin's cosmology, Preparation will be an ecstatic, mystical experience. Devotees of Scriabin's late harmonic style will find much to fascinate. Others may find themselves driven batty by more than two and one half hours of endless unresolved cadences. "Nemtin's 1975 Nuances is a ballet based on orchestrations of Scriabin's late piano miniatures. The beguiling melodies, delicate orchestration, and brevity of these pieces feel like a light dessert after a very heavy meal (except that the ballet comes first on the discs, so maybe it's an appetizer). The recorded sound throughout is very detailed and atmospheric, with a wide dynamic range. Whatever one's reservations about the success of Nemtin's reconstruction, it would be hard to disagree that the performance itself is exemplary." Scriabin (1872-1915): CD 18 of the 18 CD DECCA set of Scriabin's complete works. This is a bonus disc of performances of some of the solo piano works represented by other recordings in the set, but represent alternative performances by important artists also on the DECCA label. Its 15 tracks and 47'32 in length. Artists represented on this disc are Vladimir Horowitz, Shura Cherkassy, Sviatoslav Richter, Mikhail Pletnev, Yevgerny Kissin, Benjamin Grosvenor, and Daniil Trifonov. And finally, 2 separate recordings of Wilhelm Furtwangler's Violin Sonata 2 in D Major. 1) cpo CD featuring Matthias Wollong, violin, and Brigitta Wollenweber, piano. This performance is 45'51 and is CD 2 of a set of 2 CDs also featuring the Violin Sonata 1 on CD 1. Rec. Nov 2004 Funkhaus Berlin, Studio 10. This issue says the sonata is from 1939. 2) Bayer Records CD (47'33)Wolfgang Muller-Nishio, violin, Rudolf Dennemarck, piano.--rec 11-12 DEC 1971 Tonstudio van Geest, Heidelberg-Wieblingen. The booklet with this CD says the sonata is from 1940. The recording on Bayer is a little slower. Each movement is a minute or two longer than its counterpart on the cpo CD. It also seems to me to find a depth and meaning in the music that seems absent from the cpo disc. This is, IMO, the preferred recording of the two. This is probably the consensus pick on the best Ma Vlast on records. But personally, I prefer the Karel Ancerl, Czech Philharmonic recording to all others. It's very good, I'm sure you have heard it. I've not heard your recommended recording yet. Today it's Schumann Sym 1 through 4, Zinman/Zurich Tonhalle Orch/Arte Nova. On Saturday, January 30, 2017, I listened to 11 CDs. Claudio Monteverdi (1567-1643): Vespro della beata vergine da concerto (1610)--Rinaldo Alessandrini, cond., Concerto Italiano. Rec. 4/2004 in Palazzo Farnese, Rome, Italy (also the home of the French Embassy in Rome). 2 CD set from naive records. Haydn: Tr. 1-3, Sym. 17 in F Major (14'44) |Tr. 4-6, Sym. 18 in G Major (13'57) |Tr. 7-9, Sym. 19 in D Major (10'32) |Tr. 10-13, Sym. 20 in C Major (14'27)--Adam Fischer, cond., Austro-Hungarian Haydn Orch. Rec. 4, 5/1991 Haydnsaal, Esterhazy Palace, Eisenstadt, Austria. CD 5 of a 33 CD Brilliant set of all the Haydn symphonies. Licensed from Nimbus Records. Beethoven: PC 1 in C Major, Op. 15 (38'21) |PC 2 in B Flat Major, Op. 19 (29'27)--Paul Lewis, piano, Jiri Belohlavek, cond., BBC Sym. Orch. Rec 2009-10, London. CD 1 of a 3 CD harmonia mundi set of the Beethoven piano concerti by these forces. These are exceptionally good performances. I detect no interpretive oddities or departures from an MOR approach, just superb playing by all involved. Dvorak: Tr. 1-4, Sym. 4 in D Minor, Op. 13, B41 (40'28) |Tr. 5-8, Sym. 5 in F Major, Op. 76, B54 (43'22)--Jiri Belohlavek, cond., Czech Phil. Rec. Rudolfinum, Prague, 11 NOV 2013 (#4), 10-14 DEC 2012 (#5). CD 4 of a 6 CD DECCA set of all the Dvorak Symphonies and Concerti. These are exceptionally good performances. As I have said before, the first four symphonies are usually seen as influenced by Wagner, but it is difficult to detect any such influence in this performance. Other than that, these are just superbly played, among the very best recordings of these works available. Johann Strauss I (1804-49)L Tr. 12, Radetsky March, Op. 228 (2'48) |Johann Strauss II (1825-99): Tr. 1, The Beautiful Blue Danube Waltz, Op. 314 (8'13) |Tr. 2, Winer Blut Waltz, Op. 354 (8'36) |Tr. 3, Perpetuum Mobile, Op. 257 (2'58) |Tr. 5, Die Fledermaus Overture (8'30) |Tr. 6, Der Zigeunerbaron Overture (7'57) |Tr. 7, Fruelingsstimmen Waltz, Op. 410 (6'58) |Tr. 8, Rosen aus dem Sueden Waltz, Op. 388 (8'06) |Tr. 9, Morgenblaetter Waltz, Op. 279 (9'29) |Tr. 10, Annen-Polka, Op. 117 (4'01) |Tr. 11, Trisch-Trasch-Polka, Op. 214 (2'26) |Johann Strauss II & Josef Strauss (1827-70): Tr. 4, Pizzicato-Polka (2'28)--Ferenc Fricsay, cond., Berliner Philharmoniker (Tr. 1-4), Berlin RSO (Tr. 5-12)--P 1950 (Tr. 3-4), P 1951 (Tr. 1-2), P 1953 (5-12). CD 36 of a 45 CD set of all Frenc Fricsay's orchestral recordings for DGG. Mozart: Tr 1-4, String Quintet 1 in B Flat Major, K. 174 (23'37) |Tr. 5-8, String Quintet 2 in G Minor, K. 406 (516b) (20'14) |Tr. 9-12, String Quintet 3 in C Major, K. 515 (31'07)--Budapest String Quartet, augmented. (Joseph Rothman, 1st violin [all], Alexander Schneider, 2nd violin , Edgar Ortenberg, 2nd violin [2,3], Boris Kroyt, viola [all], Mischa Schneider, cello [all], augmented with Walter Trampler, 2nd viola , Milton Katims, 2nd viola, [2,3]. Rec. 30th St Studio, NYC 19-20 NOV 1956 , Liederkranz Hall, NYC [2,3], 11 DEC 1946 , 6 FEB & 23 APR 1945 . SONY Passionato label. These are, of course, legendary interpretations, just as the liner notes say. Louis Theodore Gouvy (1819-98): Tr. 1-4, Sym. 1 in E Flat Major, Op. 9 (31'00) |Tr. 5-8, Sym. 2 in F Major, Op. 12 (32'12)--Jacques Mercier, cond., Deutsche Radio Philharmonie, Saarbrueken und Kaiserlauten. Rec. 20-24 OCT 2008 Funkhaus Halberg, Musikstudio 1, Saarbruecken, Germany. cpo CD. Gouvy was born and died in Germany, but he was born into a French speaking family in the Sarre, a region then in Prussia, but very near the French border, which is now still in Germany. He always considered himself French, but was not a French citizen until the age of 32. H was much admired in his lifetime. Per Wikipedia, "Gouvy was elected to the Academie des Beaux-Arts in Paris in 1894 on the death of Anton Rubinsten, and to the Koenig-Preussische Akademie in Berlin in 1895," so he always remained in touch with both cultures from which he had sprung. After his death, however, his reputation fell by the wayside until 1995, when the Theodore Gouvy Institute was formed by Gouvy enthusiasts in the town of Hombourg-Haut, where Gouvy lived the last thirty years of his life in a house which his brother Alexandre had built. The Institute itself is, in fact, now housed in that building. This recording was subsidized by the Institute and a number of other oganizations, including the Council of Lorraine. This set is part of a series of 4 CDs of all of Gouvy's 6 numbered symphonies plus a Fantasie Symphonie, a Sinfonia breve, and a Sinfonietta, all of which are considered symphonies from cpo and conductor Jacques Mercier. I have all four, and I will be listening to and reporting on the others in the coming weeks. Goiuvy's music is reminiscent of other composers of the early and middle romantic period, from Schubert thru Schumann and Brahms. Claude Debussy (1862-1918): Preludes, Books 1 and 2 (66'`8)--Robert Caadesus, piano. CBS Masterworks CD. Rec. 1953-4 and first issued on LP in monaural sound in 1955. Michael Tippett (1905-98): A Child of Our Time, an Oratorio in 3 Parts for SATB Soli, Chorus and Orchestra (1941)--Colin Davis, cond., Staatskapelle Dresden, Chor der Saechsischen Staatsoper Dresden, Ute Selbig, soprano, Nora Gubisch, contralto, Jerry Hadley, tenor, Robert Holl, bass-baritone. Profil CD, rec. 7, 8 JUL 2003 for broadcast and later released for CD to Profil. Per Wikipedia, the work was inspired by events which affected Tippett profoundly. In November, 1938, the assassination in Paris of the German diplomat Ernst von Rath by Herschel Grynszpan, a 17 year old Jewish refugee, which gave Hitler the excuse to engineer the "Kristallnacht" pogrom across Germany. The oratorio deals with these incidents in the context of the experiences of oppressed peoples generally, including black Americans, and carries a strong pacifist message of ultimate understanding and reconciliation, a resolution which has been realized and embodied by the performing forces here, in Dresden, the site of some of the most horrific of the Kristalnacht attrocities. The work's recurrent themes of shadow and light reflect the Jungian psychoanalysis which Tippett underwent in the years immediately preceding the writing of the oratorio. The oratorio uses a traditional three part format based on that of Handel's Messiah, and is structured in the manner of Bach's Passions. The work's most original feature is Tippett's use of American spirituals, which carry out the role played by the chorales in Bach's Passions and cantatas. In fact, each of the three sections ends with a spiritual, and two others appear at various points in Part 2. Tippett began compsing this work almost immediately after Kristallnacht, but it was not completed until 1941. It was first performed at the Adelphi Theater in London in 1944, as a pacifist oratorio was not really possible in London until after it had become apparent that the Allies would win the war. The booklet contains extensive notes, including historical information about the Kristallnacht attrocities, especially those in and around Dresden, including the destruction of the Dresden Synagogue, which was a priceless architectural treasure as well as a place of worship, and which the members of the congregation were forced to finance. This was part of a general program of remembrance and reconciliation sponsored by local authorities in Dresden at the time to mark the 65th anniversary of Kristallnacht in 2003. Erich Wolfgang Korngold (1897-1957): Tr. 1-4, Trio for Piano, Violin, & Cello in D Major, Op. 1 (23'32) |Tr. 5-8, Sonata for Violin & Piano, Op. 6 (28'55)--Roehn Trio (Andreas Roehn, violin, Kai Moser, cello, Kerstin Hindart, piano. No information on recording dates or venues. P 1990/91. Profil CD. On NYE, 2017, I listened to 6 CDs. Haydn: Syms 21 (15'53), 22 "Der Philosoph" (16'50), 23 (15'34), & 24 (19'03)--Adam Fischer, cond., Austro-Humgarian Haydn Orch. Rec. June 2000 (21, 23), Apr 1989 (22, 24) @ Haydnsaal, Esterhazy Palace, Eisenstadt, Austria. CD 6 of a 33 CD Brilliant set of the complete Haydn Symphonies. Licensed from Nimbus Records. Beethoven: PC 3 in C Minor, Op. 37 (36'06) |Piano Concerto 4 in G Major, Op. 58 (33'25)--Paul Lewis, Jiri Belohlavek, cond, BBC Sym. Orch. Rec. 2009-10 London. CD 2 of a 3 CD harmonia mundi set of the complete Beethoven piano concerti by these forces. These are exceptional performances. Again, nothing interpretively out of the way, just superb performances of the highest quality. Dvorak: Sym 6 in D Major, Op. 60, B112 (42'39) |Sym. 7 in D Minor, Op. 70, B141 (37'59)--Jiri Belohlavek, Czech Phil. Rec. Rudolfinum, Prague, 5-9 Nov 2012 (#6), 17-21 Dec 2012 (#7). CD 5 of a 6 CD DECCA set of the complete Dvorak Symphonies and Concerti by these forces. The are top rank performances. Mozart: Tr. 1-4, String Quintet 4 in G Minor, K. 516 (29'02)--rec. 2 Dec 1941 |Tr. 5-8, String Quintet 5 in D Major, K. 593 (23'43)--rec. 12, 13 Dec 1946 |Tr. 9-12, String Quintet 6 in E Flat Major, K. 614 (23'13)--rec. 18, 19 Nov 1949. Budapest String Quartet, augmented with a second viola. Joseph Roisman, 1st violin, Alexander Schneider, 2nd violin (#4), Edgar Ortenberg, 2nd violin (#5, 6), Boris Kroyt, 1st viola (all), Milton Katims, 2nd viola, (all), Mischa Schneider, cello (all). All recorded in Liederkranz Hall, NYC. Sony reissues. This is one of the legendary sets of the string quintets, sometimes also called the viola quintets. My personal preference is for the set from the augmented Griller Quartet, but I see that is no longer available, so I am lucky to have mine. I thought there was also one by the augmented Tatrai Quartet on Hungaraton, which also recorded all of the Haydn String Quartets, but I couldn't find that listed anywhere either. I would suggest my readers consult http://www.arkivmusic.com/classical/alb ... corder=195 for recommendations. ArkivMusic's recommendations are not unerring, but pretty close, in my experience. Rachmaninoff (1873-1943): Tr. 1-8, Etudes-Tableaux, Op. 33 (1911) (25'01) |Tr. 9-17, Etudes-Tableaux, Op. 39 (1916-17) (38'41)--Nikolai Lugansky, piano.--Rec. June 1992, Concert Hall of the Russian Academy of Music, Moscow. CD 1 of a 9 CD Brilliant set of the complete Rachmaninoff solo piano music by various artists. Louis Theodore Gouvy (1819-98): Tr. 1-4, Sym 3 in C Major, Op. 20 (31'45) |Tr. 5-8, Sym. 5 in B Flat Major, Op. 30 (23'31)--Jacquest Mercier, cond., Deutsche Radio Philharmonie, Saarbruecken und Kaiserslautern. Rec 5 Feb 2007, Saarlaendischer Rundfunk and Suedwestrundfunk Musikstudio 1 des SR, Grosser Sendesaal. See my listening report of yesterday for further details on Gouvy and how these recordings came to be made. To begin 2018, I listened to a magnificent performance of great music: Murray Perahia's 2000 recording of Bach's Goldberg Variations. Still on a "high" from this. I've been enjoying this lovely composition of Steve Reich from 2015, called Pulse. ​On Tuesday, January 2, 2018, I listed to 7 CDs--and couldn't listen to one other, because its defective. The defective CD was the 3rd and last CD in a Budapest Quartet reissue of old recordings fro the '40's and '50's of Mozart chamber music--the string quintets on discs 1 & 2, and the Clarinet Quintet, Piano Quartet and Eine kleine Nacthmusik on the third. I had some skips in disc 2, and just barely got through it and disc 3 was simply unlistenable. It has been reissued again in a presumably cleaned up version. I may order it, after checking reviews. So, on the the things I did hear. Haydn: Sym. 25 (13'34), 26 "Lamentatione" (1306), 27 (13'40), 28 (19'45), and 29 (1750)--Adam Fischer, cond., Austro-Hungarian Haydn Orch. CD 7 if the 33 CD Brilliant set of the complete Haydn Syms from these forces. Licensed from Nimbus Records. Frank Martin (1890-1974): Golgotha, a Passion Oratorio on texts of the Gospels & St. Augustine for SATBB soli, chorus, organ, and orchestra (94'50) (1945-8) Origninally written in French, this performance is sung in German using a translation approved by the composer. --Martina von Barge, soprano, Margrit Hungerbuehler, alto, Friedhelm Decker, tenor, Joachim Gebhardt, barintone (Christus), Martin Blasius, bass, Offenbacher Kammerorchester. The Frankfurt Brass, Church of the Savior Choir, Hayko Siemens, cond. Live recording on 1 APR 1988 @ the Church of the Savior in Bad Hamburg, Germany. Richard Strauss (1864-1949): Tr. 1, Don Juan, Op. 20 (15'42) |Tr. 2-4, Duett-Concertino for clarinet, bassoon, strings, and harp (16'05), Heinrich Geuser, clarinet, Willi Fugmann, bassoon. |Tr. 5, Burleske for Piano and Orchestra in D Minor (20'34), Margrit Weber, piano, Berlin RSO (in all the above) |Tr. 6, Till Eulenspiegels Lustige Streich, Op. 28--Berliner Philharmoniker. CD 37 in the 45 CD set of all Ferenc Fricsay's orchestral recordings with DGG. Rec. in MONO 1950-55 in various locations in Berlin. Beethoven: PC 5 in E Flat Major, Op. 73 "Emperor" (38'53)--Paul Lewis, piano, Jiri Belohlavek, cond., BBC Sym. Orch. Rec. 2009-10 in London. CD 3 of a 3 CD harmonia mundi set of the complete Beethoven piano concerti by these forces. This performance is of a piece with the others in the set. Superb playing at the highest level with no real interpretive surprises or oddities. Dvorak: Sym. 8 in G Major, Op. 88, B163 (37'40) |Sym. 9 in E Minor, Op. 95, B178 "From the New World" (42'51)--Jiri Belohlavek, cond, Czech Phil. Rec. Rudolfinum, Prague, 2-6 DEC 2013 (#8), 11-15 NOV 2013 (#9)--CD 6 of a 6 CD DECCA set of the complete Dvorak symphonies and concerti by these forces. These are among the greatest recordings of these works ever recorded, though I do prefer the Zdenek Macal recording of the 9th with the London Philharmonic on the mid-price EMI Classics for Pleasure label to all others. Other worthy performances are those of Fritz Reiner and Carlo Miaria Giulini with the Chicago Symphony, and the Ancerl, Czech Philharmonic recording. Also, the Kubelik set of all they symphonies is worthy competition with this set, but none of the others, IMHO, is, though there might be exceptions in the case of a few individual performances of some of the symphonies. Rachmaninoff (1873-1943): Tr. 1-10, Preludes, Op. 23 (33'33) |Tr. 11-13, Nocturnes (1887-8) (12'41) |Tr. 14 Song Without Words (1887) (1'19) |Tr. 15-36, Variations on a theme of Corelli, Op. 42 (16'39)--Santiago Rodrigues, piano. Rec. June 1994 @ John Addison Concert Hall, Fort Washington, Maryland. This is CD 2 of a 9 CD Brilliant set of the complete Rachmaninoff solo piano works by various pianists. Last edited by RebLem on Wed Jan 03, 2018 3:50 pm, edited 1 time in total. The Budapest String Quartet's recording of Mozart's clarinet quintet with Benny Goodman is what my parents had, and I learned the music from it. Many years later, hearing it again, I don't like it - something hard-boiled about their approach, wrong for this music. So you might save yourself the trouble. My favorite recording is by Jack Brymer and the Allegri Quartet. ​On Wednesday, January 3, 2018, I listened to 5 CDs. Listening to this CD is analagous to listening to a CD of Brahms--first the Academic Festival Overture with its carefully constructed cheerful lightheartedness, then the lighter and somewhat less rigorous Haydn Variations, followed by the deadly serious Tragic Overture. The 4th Symphony is well constructed but light hearted, in the manner of some of the early Schubert symphonies. The Symphonie breve is a 7 movement piece consisting of a theme and 5 variations, followed by the longest movement of the work, a 5'44 Rondo. The Fantaisie Symphonique is deadly serious. The first movement is marked "Grave-Moderato," the second is an Adagio, and the third is "alla breve." Very serious, even morose stuff, but superbly performed in exceptional performances. Mozart: Requiem in D Minor, K. 626 (54'33)--Karel Ancerl, cond., Czech Phil. & Chorus, Agnes Giebel, soprano, Vera Soukupova, alto, Georg Jelden, tenor, Heinz Rehfuss, bass. Rec. @ Montreux Festival 14 SEP 1966 by Radio Suisse Romande. TAHRA label. I found this to be an exceptional performance by one of the great conductors of the 20th century, a conductor and a man for whom my admiration is boundless. He was a Jew who was in Czechoslovakia when the Nazis overran it. IN 1942, he and his family were sent to the showplace Therisienstadt ghetto. You may have seen a Nazi propaganda film on this ghetto where an audience is watching a symphony orchestra perform. The conductor on the podium was Karel Ancerl. About a month after that, almost everyone in that room was dead exceot Ancerl himself. His first wife and his 18 month old son were gassed to death at Auschwitz in October, 1944. Karel survived, but his health was severely compromised. He was favored in a sense by the Communist regime, but he chafed under their restrictions, and during the 1968 revolution, he conducted a series of concerts in the US with the Czech Phil., and he was still in the US when Soviet tanks rolled back into Prague to suppress the revolution. He chose to defect. All his property in Czechoslovakia was seized. But at the time of his defection, the Toronto Symphony was looking for a new music director, and they snapped Ancerl up as soon as they determined he was available, and he spent the rest of his carreer there. Sadly, he only lived a few more years, and died in Toronto on 3 JULY 1973. And yet he found the strength to be a great artist. This Requiem is one of the great performances of this work, not only because of Ancerl, but because of a superb cast of soloists as well. Igor Stravinsky (1882-1971): Tr. 1-14, Le Sacre du Printemps (1947 version) (33'39) |Tr. 15-25, Petrouchka (1947 version) (30'12) |Tr. 26-30, Movements for Piano & Orchestra (9'03)--Margrit Weber, piano, Berlin RSO. This is CD 38 in the 45 CD set of all Ferenc Fricsay's orchestral recordings with DGG. Rec. Berlin @ Jesus-Christus-Kirche, MONO 11-13 MAR 1954 (Tr. 1-14), 19 & 21 APR 1953 (Tr. 15-25), and STEREO 14 SEP 1960 (Tr. 26-30). These are not, in my opinion, among the greatest performnace so any of these works, except, possible, the last of them. Boulez, Stravinsky himself, and Claudio Abbado are the touchstones here. Another one of Le Sacre which I like very much but which few seem to know about is one by Gennadi Rozhdestvensky and the London Sym. Orch., coupled with the original versions of the Firebird Suite and Petrouchka and the Symphony in 3 Movements on Nimbus Records. Haydn: Tr. 1-3, Sym. 30 in C Major "Alleluja" (13'12) |Tr. 4-7, Sym. 31 in D Major "Hornsignal" (25'08) |Tr. 8-11, Sym. 32 in C Major (15'05) |Tr. 12-15, Sym. 33 in C Major (15'35)--Adam Fischer, cond., Austro-Hungarian Haydn Orch. Rec. 4 & 5/2001, Haydnsaal, Esterhazy Palace, Eisenstadt, Austria. CD 8 of the 33 CD Brilliant set of the complete Haydn symphonies by these forces. Licensed from Nimbus Records. Carlos Chavez (1899-1978): Tr. 1-3, Piano Concerto (1940) (36'32)--rec. 7-9 MAR 2011 Sala Nezahualcoyotl, Centro Cultural Universitario UNAM, Mexico, DF. |Tr. 4, Chavez: Meditacion (1918) (5'09) |Tr. 8, Jose Pablo Moncayo: Muros Verdes (1951) (6'36) |Tr. 6, Samuel Zyman: Variations on an Original Theme (2007) (16'00)--Jorge Federico Osorio, piano (all) ,Carlos Miguel Prieto, cond., Orquesta Sinfonica Nacional de Mexico (Tr. 1-3), Tr. 4-6 rec. 24-25 OCT 2012 Fay & Daniel Levin Performance Studio @ 98.7 WFMT Radio, Chicago. Cedille Records, Chicago, James Ginsburg, producer. Mr. Ginsburg is not only the producer, he is the owner of Cedille Records. His mother is on the US Supreme Court. Boulez conducts Weber II/Boulez/BPO is going right now. On Thursday, 4 January 2018, I listened to only 3 CDs. Julius Engelbert Röntgen (1855-1932): 1) Tr. 1-4, Quintet for Piano & Strings in A Minor, Op. 100 (1927) |2) Tr. 5-7, Trio for Clarinet, Viola, & Piano in E Flat Major (1921) |3) Tr. 8-11, Sonata for Viola & Piano in C Minor (1924) |4) Tr. 12-25, Sextet in G Major (1931)--David Louie, piano (1, 2), Dianne Werner, piano (3), Erika Raum, violin (1, 4), Marie Bérard, violin (1, 4), Steven Dann, viola (all), Bryan Epperson, cello (1, 4), Yosef Tamir, viola (4), David Hetherington, cello (4), Joaquin Valdepeñas, clarinet (2)--Rec. at the Living Arts Centre, Mississauga, Ontario 2-4 APR 2007. RCA CD. Röntgen had a more famous distant relative, William Conrad Röntgen, a scientist who discovered X-rays and won a Nobel Prize in 1901. Edvard Grieg once joked that in Röntgen's music you could "see right through the bone." That provides the title for this release, which appears on the cover of the liner notes booklet. These are interesting works in a conservative idiom for the period of the composer's life. Not qwuite as detached, perhaps, as Schubert, not as romantric as Scumann or Brahms. If I were to hear that he took Mendelssohn as his model, I would not be surprised. Still, none of the notes give this impression, Its just my feeling about these works. One of the things I like about this is that he often uses a viola where others would use a violin, as in the Clarinet Trio, and the Viola Sonata. Somehow, a viola seems more in keeping with the general tonality of these works, especially the Clarinet Trio. William Howard Schuman (1910-92): Tr.1-2, Symphony 3 (1941) (27'28) |Tr. 3-5, Symphony 5, for strings (17'55) |Tr. 6, Judith: Choreographic Poem [aka a ballet] for Orchestra (1949) (22'22)--Gerard Schwarz, cond., Seattle Symphony--Rec. @ the S Mark Taper Foundation Auditorium, Benaroya Hall, Seattle, 9/2005 (Tr. 1-2) and @ the Seattle Center Opera House 1/1991 (Tr. 2-5) & 1/1992 (Tr. 6). NAXOS CD--part of a set of 5 CDs comprising Schuman's Syms 3-10. The composer withdrew his first two symphonies, from 1935 and 1939. William Howard Schuman was born to Manhattan Jewish parents who admired William Howard Taft, and named their son after him. The composer himself preferred to be called "Bill," or, in his youth, "Billy." Througout his life, he worked as a composer, conductor, and arts administrator. Early in life, he began composing popular songs, and even had a dance band as a teen called "Billy Schuman and his Alamo Society Orchestra," in which he played double bass. These works are written in a conservative, tonal idiom. His ballet, Judith, was written for Martha Graham. Rachmaninoff (1873-1943): Tr. 1-15, Piano Sonata 1 in D Minor, Op. 28 (33'12) |Tr. 16-28, Preludes, Op. 32 (38'42)--Santiago Rodriguez, piano--Rec. 1 & 4/1993, John Addison Concert Hall, Fort Washington, Maryland. Licensed from Elan recordings. CD 3 of a 9 CD Brilliant set of the complete Rachmaninoff solo piano music. The 1962 "Lohengrin" was published by Philips, which had an exclusive with Bayreuth in the 1960s. But I guess with all the mergers and buy-outs of record companies, they don't care which label they use. Decca did publish a Bayreuth "Lohengrin" but it was in 1953 and conducted by Keilberth. Decca Bayreuth megabox 2008 (reissued 2013). A superb compilation which I have, retaining the Philips vinyl boxes for their librettos. Also, the Philips boxes and librettos for the Ring have color photos of Wieland Wagner's extraordinary production. Even though I don't think much of the Böhm-led performances I keep the sets anyway. 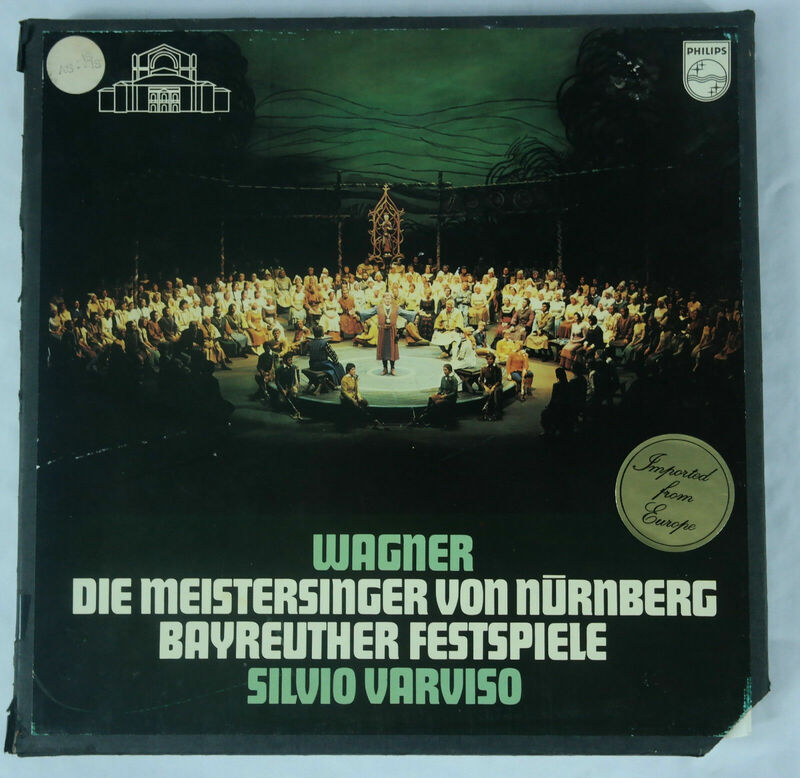 Love the Varviso-led Meistersinger on Philips LPs. Bought it before going to see Ehrling conduct it at the Met. I have them all on LP except the Levine, which didnt come out till the early CD era. Jan. 7 begins with: Giulini/CSO box/EMI - Mahler 1, Berlioz/Romeo & Juliet, Beethoven 7, Bruckner 9, Brahms 4, Stravinsky Suites for Firebird & Petrushka. This will be fun!